More details in "Orphan Train Riders, Their Own Stories, Volume 3. Renee Wendinger, daughter of Sophia Kral, Author of "Extra! Extra! The Orphan Trains and Newsboys of New York"
a collection of stories of children who faced nearly insurmountable odds. 1900 NYFH Rider to Browerville, MN to the Rohus Kologifamily. Bertha Jones was born November 25, 1916. Born 12/25/1913. A 1918 CAS Rider to Little Rock, IA to Jans & Jennie Visker family. Lived in Minnesota Both girls rode an Orphan Train to Little Rock, Iowa. 1901 CAS Rider to Kenyon, MN to Neseth or Rouning family. 1899 CAS Rider to Minneapolis, MN to Joshua Winn family. 1866 CAS Rider to Adams, MN to Schumacher family. 1901 CAS Rider to Spring Valley, MN to Bradley/Ellis family. 1916 NYFH Rider to Winona, MN to the John Rybarczyk family. Rider to the Brown family. 1902/1903 CAS Rider to Chatfield/Stewartville, MN to McGhie family. 1902 CAS Rider to Judge, MN to the Thomas family. 1880 CAS Rider to Rushmore, MN. 1898 CAS Rider to Dodge Center/Kenyon, MN to the Worth/McPeek family. 1916 NYFH Rider to Sauk Center, MN to Joeseph & Ann Kruchten family. 1892-1901 CAS Rider to Spring Valley, MN to the Palmer family. 1898 CAS Rider to St Cloud, MN. 1901 CAS Rider to Kenyon,/Dodge Center/Skyberg, MN. He traveled in one of these years 1901,1905,1907,1908. 1901 CAS Rider to Kenyon, MN. 1901 CAS Rider to Winona, MN to Walter Thompson family. County, Minnesota. Her first marriage was to Edward Schraan. Her Second marriage was to Joseph Meier. 1882 CAS Rider to Fairmont, MN to Fred Petterson family. 1901 CAS Rider to Kenyon, MN to S K Haugen family. 1914 CAS Rider to Dodge Center, MN to the Kofoky family. 1898 Rider to Sauk Centre, MN to the Minette family. 1914 CAS Rider to Fairmont, MN to the Wilcox Family. liking to his color. One morning Clara found Joe not in his bed, and his morning chores waiting..he was gone, and she never found him again. 1901 CAS Rider to Spring Valley, MN to the C J Loucks family. Charles went to live with Mr Henry Barker in Ruthland, Minnesota (Martin County). 1919 CAS rider to Fredericksburg, IA. Rode with Paul Yurrick. Carl went to New Hampton Ia. 1901 CAS rider.The girls rode an Orphan Train to Minnesota and the boys rode an Orphan Train to Iowa. The siblings did see each other as often as possible. DeFrance lives in Maple Grove, MN. died October 3, 1985 at the age of 97. More details in "Orphan Train Riders, Their Own Stories, Volume 2". May be purchased through the Orphan Train Heritage Society of America. Adopted by Clyde & Lulu Thompson. Emerson L Close (birth name) Townsend (foster/adoptive name) Born in 1921. Adoptive by William & Sibyle Townsend. Birth parents James and Mary Jane Close. Mary Jane Hill/Close is the mother to all 5 children. The children were all taken in to familys in the Waverly, Iowa Area. 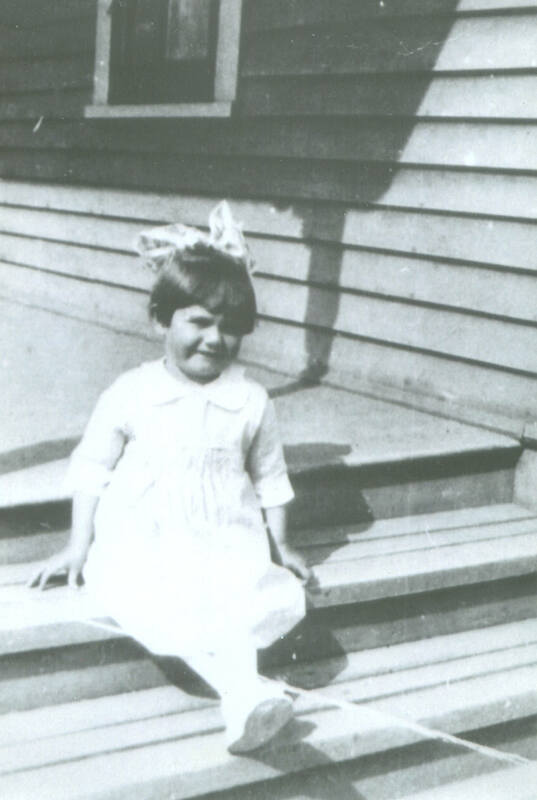 All of the children were September 19,1922 Children's Aid Orphan Train Riders to Waverly, Iowa Area.